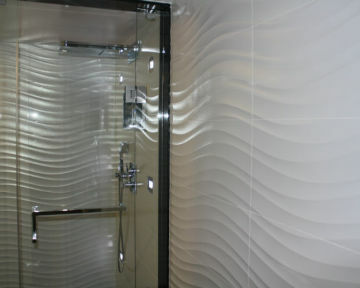 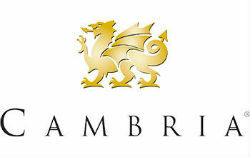 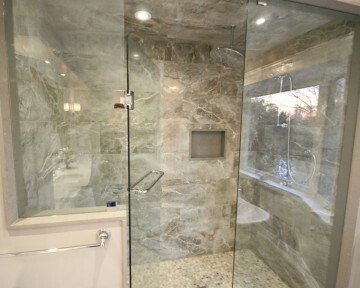 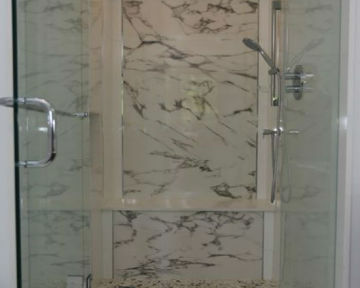 We can custom design and build your beautiful seamless glass shower with all the fixtures! 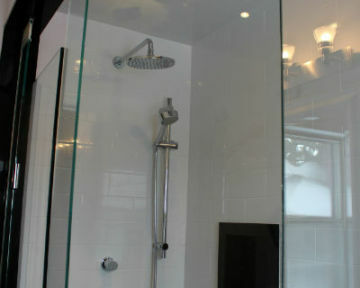 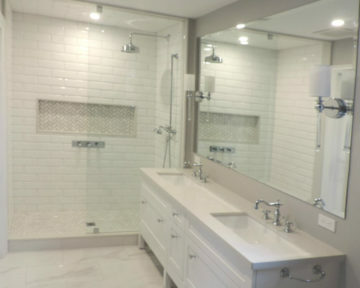 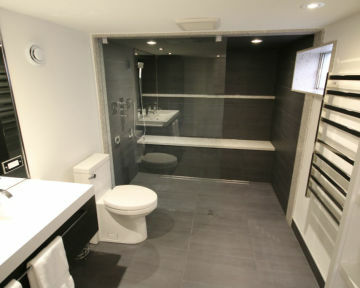 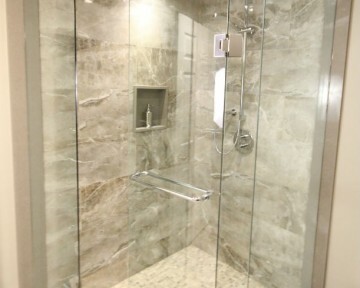 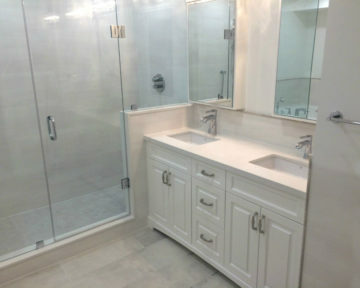 Bathroom showers renovations by Toronto Custom Concepts include design and build of your new glass shower. 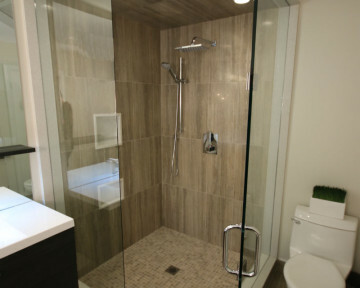 We have completed dozens of shower renovation projects so you can look to us to come up with a perfect design to meet your needs. 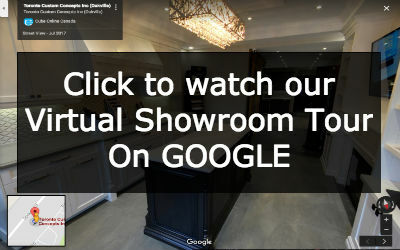 Whether it is incorporating seamless glass doors, integrated bench seating, shower jet panels, rainhead shower heads and columns, LED lighting, custom storage alcoves…you name it and we have done. 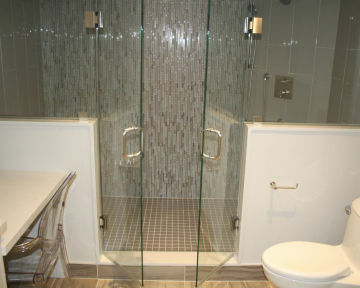 Beautiful shower renovations allow you to personalize your our oasis right while in the comfort of your own home. 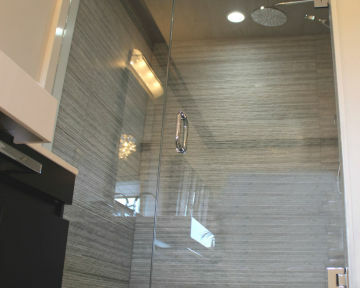 With so many different types of shower hardware and finishes, personalizing your shower is very easy with Toronto Custom Concepts. 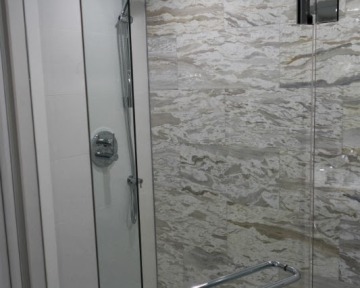 We can provide your with product samples to suit your tastes and preferences and your can rest assured that your shower renovation will be completed to the highest quality.